When looking at your VFFS OEE (Overall Equipment Effectiveness) it is important to know various parts and processes, especially for technicians in charge of supervising or providing maintenance on the machine. 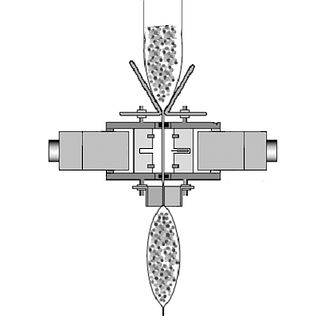 This knowledge allows more efficient running of the vertical bagger and troubleshooting. 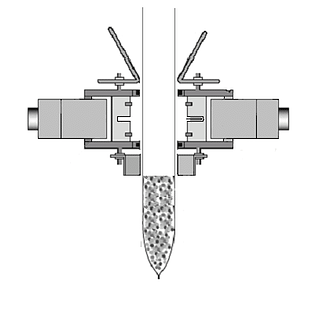 The constant heat sealing system is the focus of this Tech Note. In particular, we will look at and identify the constant heat seal jaw components and the various stages of the sealing process. 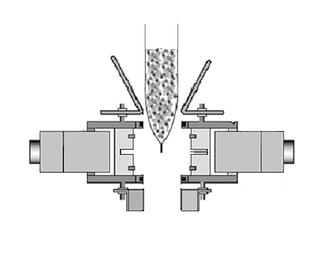 In order for the constant heat sealing system to produce quality seals, it must be properly setup. 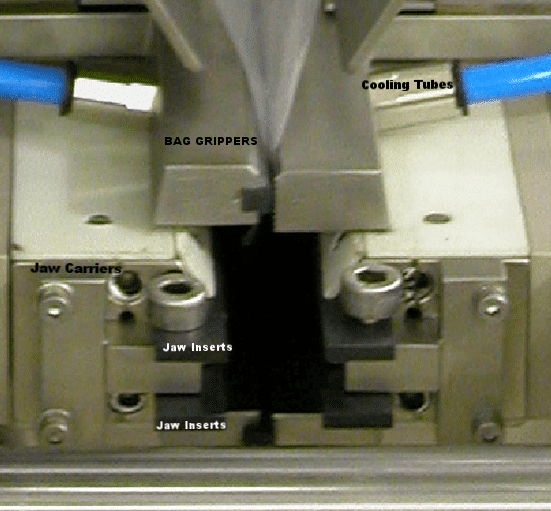 This setup of the jaws consists of jaw carriers, constant heat jaw inserts, spring loaded bag grippers with cooling, a knife, bevel plates and air deflators. 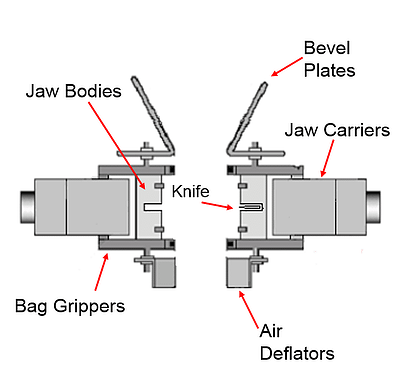 It is important to note that jaw alignment and spring bag gripper alignment is critical to quality seals. 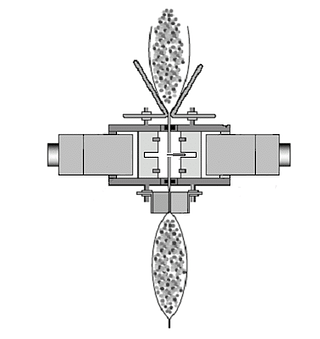 The photos and descriptors below provide visual identification of the constant heat sealing system parts as well as a run through of the process. 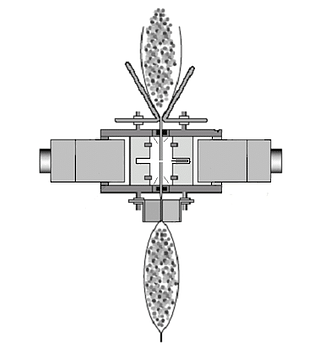 SECOND STAGE: The knife extends out to cut the film before the upper and lower seals are made. THIRD STAGE: The heated jaws touch to seal the bags for the upper and lower seal. 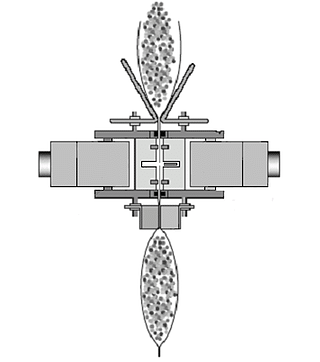 FOURTH STAGE: The jaws open and a cooling time and distance is set in the HMI to begin cooling the seals while the grippers are still holding. NOTE: This is important for making strong seals. Cooling is essential and an area often overlooked. The constant heat sealing system is important in maintaining a tight seal and keeping the integrity of the bag intact. Sealing pressure, temperature, timing and cooling are the key factors involved in this system. With knowledge of the process and components involved, you will have an edge in making sure these key factors are met, maintained, and repaired if issues arise on your VFFS.